Thomas Körfer works for his clients in all matters concerning the prosecution and litigation of patents for a wide range of technologies. This includes giving strategic advice on patent licensing and tax-related IP issues, evaluations, calculation of damages and infringement opinions. He represents clients in proceedings before the EPO and the German Federal Patent Court and often assumes a coordinating role in patent in-fringement cases involving German and other national courts in the EU and beyond. He is also engaged in matters of employee inventions where he was elected to sit on the board of arbitrators at the GPTO. He leads a team of highly qualified attorneys who have the necessary legal and technical experience to serve an international clientele from very diverse sectors of industry. 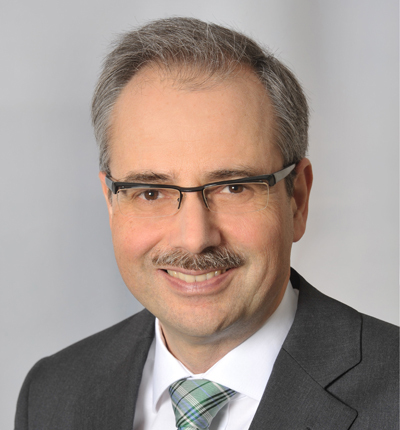 Thomas Körfer writes articles, and is a regular speaker at conferences of organisations such as AIPLA, AIPPI and LESI.